Comments: Such a nice little doe! 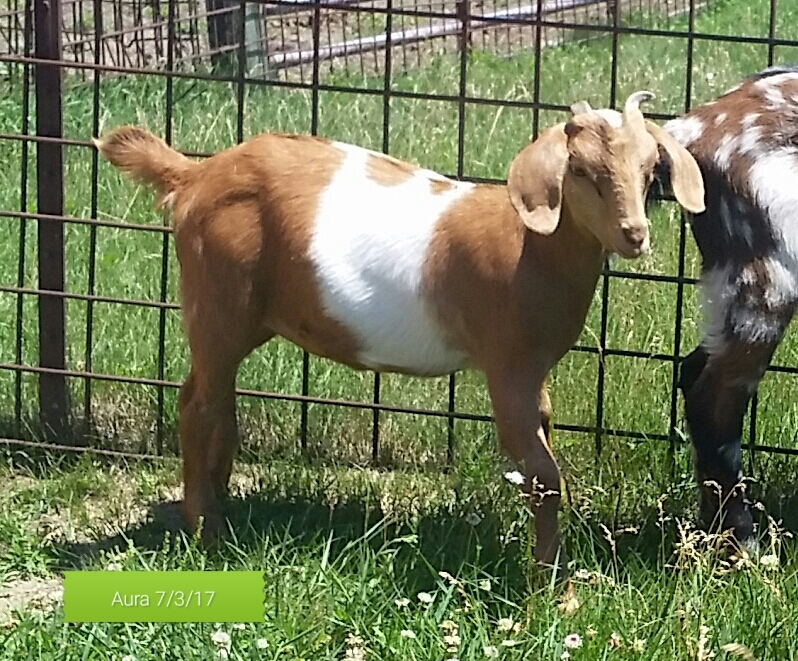 Myotonic, Nubian, Boer blend. Her horns are not growing out well so she will be sold at a reduced price. Other than the horns, she's a great looking doe.